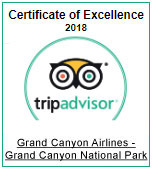 The ideal tour for Vegas visitors looking to spend the day at the Grand Canyon! The tour begins with complimentary shuttle pick-up at your Las Vegas hotel to the air terminal in Boulder City, Nevada. Board a sightseeing aircraft designed for unobstructed views of the Hoover Dam, Lake Mead, and the Colorado River - which is actually responsible for carving the magnificent stone landforms below. Touch down at the South Rim and meet your tour guide for a Hummer tour through the National Park. Your open-air Hummer vehicle will make several stops at some of the most famous lookout points, which may include Duck on a Rock, Yavapai Point, and Moran Point. Each passenger will also enjoy a box lunch during this sightseeing excursion. After the Hummer tour, you’ll transfer back to the air terminal for your return flight and complimentary shuttle service to your hotel in Las Vegas. Air tour includes views of Hoover Dam, Lake Mead, the Colorado River, and the Grand Canyon. Upon arrival at our private terminal, guests will be transferred to Buck Wild Hummer Tours terminal. Accompanied by a knowledgeable driver-guide, guests will be provided with interesting facts about the canyon. Visit the most popular viewpoints with time for exploration and picture-taking at each location. A boxed meal will also be provided for guests to enjoy at any time during their tour. Guests arrive back at the Boulder City terminal and are returned to their Las Vegas hotel.